MLS# 180024207 - 2306 Ocean Front, Del Mar, CA 92014 - Abacus Properties Inc.
Beachfront at 23rd on one of the best sites on Del Mar’s sandy shore, this classic original offers endless opportunity. Prime corner location with 50′ frontage, super charming wood interiors with fireplace and three bedrooms with baths en suite. Lovely and cozy beach house living with fabulous views as is… or let your fantasies loose. Please, send me more information on this property: MLS# 180024207 – $9,499,000 – 2306 Ocean Front, Del Mar, CA 92014. 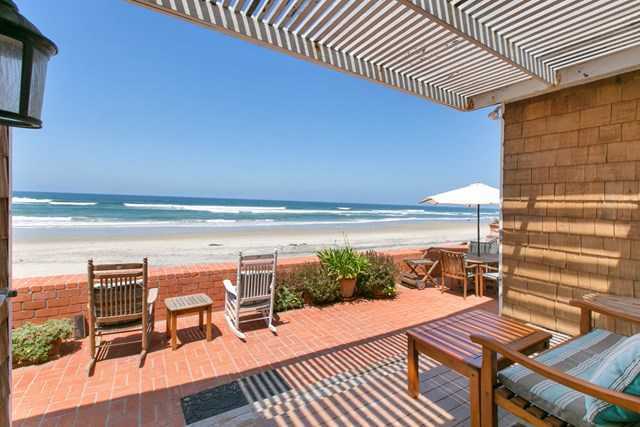 I would like to schedule a private showing for this property: MLS# 180024207 – $9,499,000 – 2306 Ocean Front, Del Mar, CA 92014.